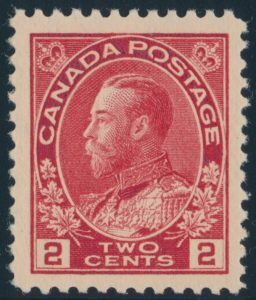 Lot 459 Canada #106 1917 2c carmine Admiral, a mint never hinged single, with bright colour and large margins, extremely fine. 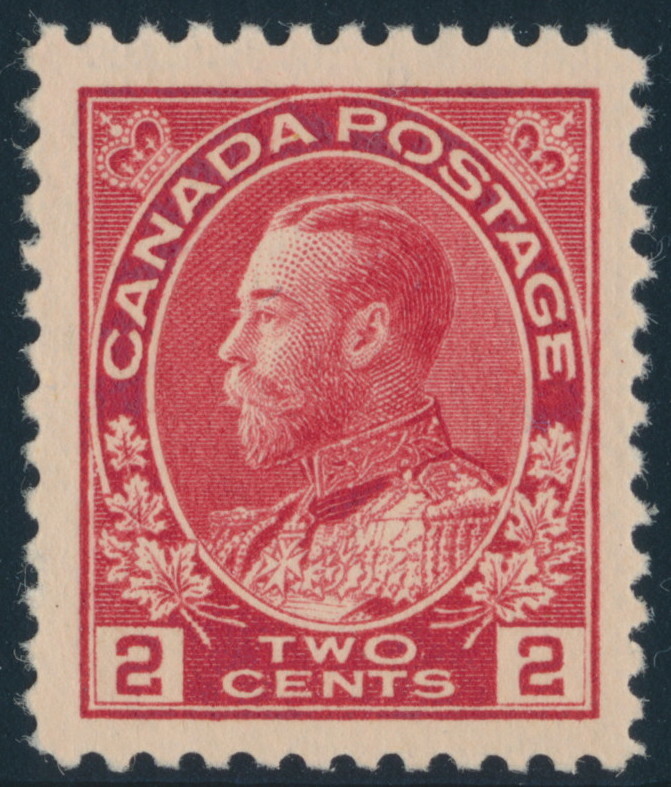 A very nice and fresh stamp. Unitrade CV$120, sold for $130 plus 15% buyer’s premium.